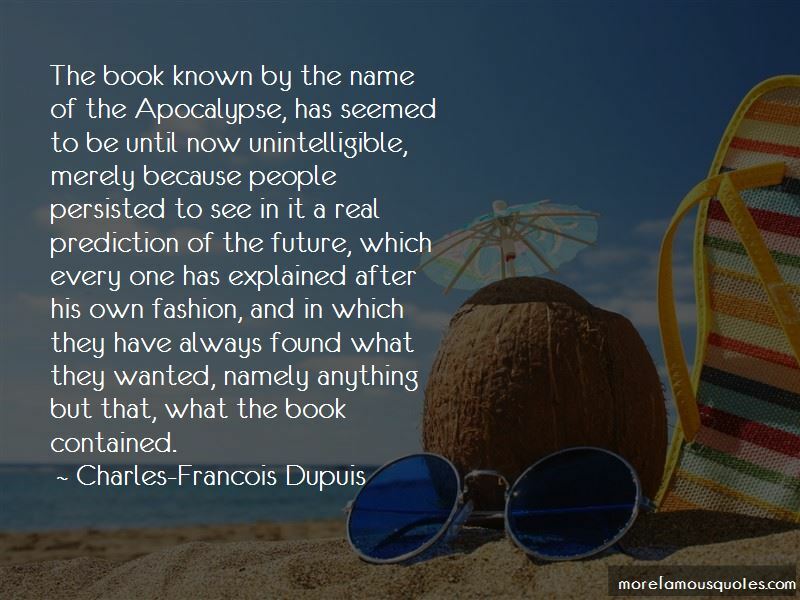 Enjoy the top 3 famous quotes, sayings and quotations by Charles-Francois Dupuis. 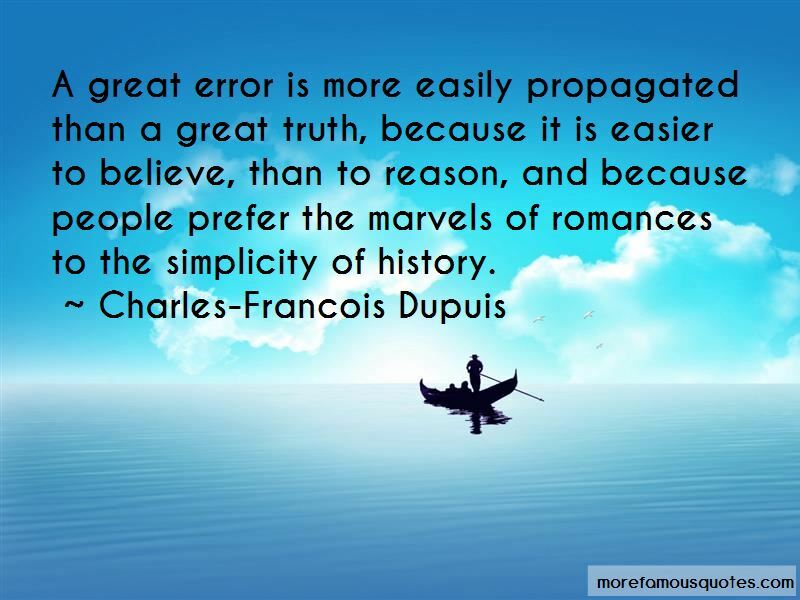 A great error is more easily propagated than a great truth, because it is easier to believe, than to reason, and because people prefer the marvels of romances to the simplicity of history. The genius of a man capable of explaining religion seems to me to be of a higher order than that of a founder of religion. And that is the glory to which I aspire. Want to see more pictures of Charles-Francois Dupuis quotes? 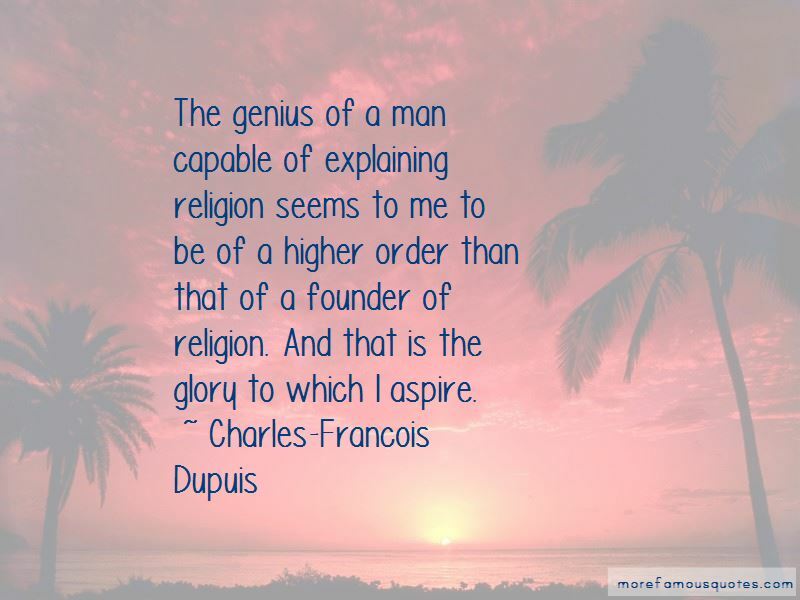 Click on image of Charles-Francois Dupuis quotes to view full size.